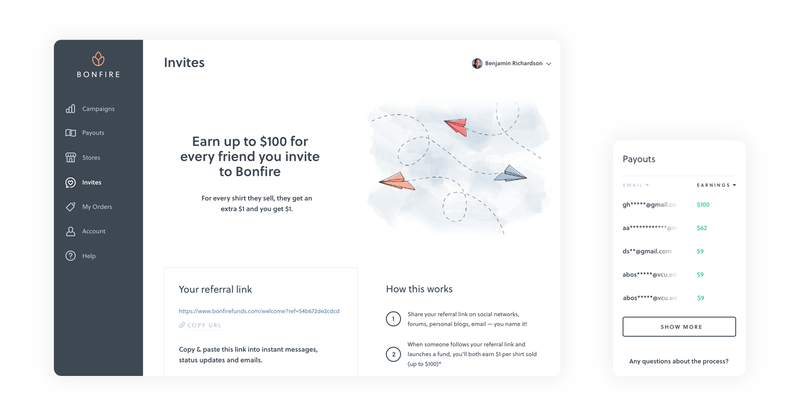 Earn up to $100 for each new account that joins Bonfire's community of sellers. 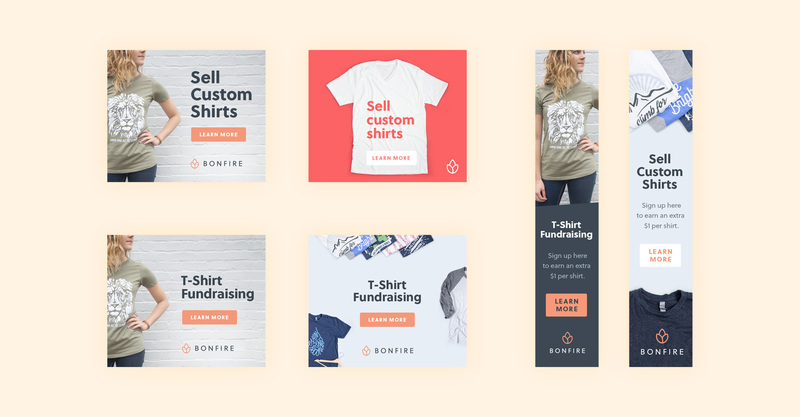 After you launch a campaign, we encourage you to invite friends, family and third party organizations to join Bonfire’s community of sellers! For each new account you can earn up to $100. For every shirt they sell in a campaign, they get an extra $1 and you get $1. Share your invite link with social networks, forums, personal blogs, email — you name it! Your available rewards will automatically link to your PayPal account with requested payouts. Note: There are currently no Invite benefits for Supply orders. After an invited friend creates an account and campaign, keep track of progress on the Invites section of your Dashboard. See when a sign up occurs, how many campaigns are launched, and total sales for qualifying rewards. We’ve bundled the latest creative banners for you to download in this zip file. You’ll download a set of image files (300×250, 720×90 and 120×600) that will fit nicely with your share message alongside your invite link. Ready to invite friends to Bonfire? Get your invite link now. Don’t have an account yet? Sign up to get started.